Stage and film choreographer and director Busby Berkeley took the Hollywood musical — where exuberant excess was the standard — to its greatest heights of bizarre, hallucinogenic dance, with elaborately overwrought, often hilarious musical numbers. His father was a stage director and his mother an actress, and he was raised in poverty and perpetually on the road. He began appearing on stage as a singer and actor when he was about five years old. In the military during World War I he was assigned to choreograph stage shows to bolster the troops' morale, and after the war he worked on and behind the professional stage in Canada and New England, making his way toward Broadway. His first major success on the stage was the premiere of Richard Rodgers and Lorenz Hart's 1927 musical spin on Mark Twain's A Connecticut Yankee, which ran almost a year. He made his movie debut in 1930, when star Eddie Cantor asked him to come west and stage the choreography for Whoopee!. His real mark on movies came when he gained enough clout to not merely choreograph the dance numbers, but direct their filming. The movie musical was in its infancy when Berkeley arrived in Hollywood, and the standard had been to film musical numbers much as they had been seen by the audience in a playhouse, with stationary cameras. Berkeley's innovation was to make the camera dance, moving it around the dancers as they performed, and even drilling holes in the ceiling to mount cameras that could film dazzling kaleidoscopic dance sequences from above. He circumvented the censorship of his time by introducing sexual themes abstractly, as the censors could hardly object to giant dancing bananas or enormous zipperlike contraptions coming untethered. He staged his scenes with wild abandon, a sense of wonder and a sense of humor, and even generations later it is nearly impossible to watch his work without smiling or even laughing. His staging of 1933's 42nd Street revitalized the musical genre and rescued the Warners studio from bankruptcy. His other famous cinematic moments came in Palmy Days, Footlight Parade, Gold Diggers of 1935, and Gold Diggers of 1937, and later at a lower budget in The Gang's All Here. 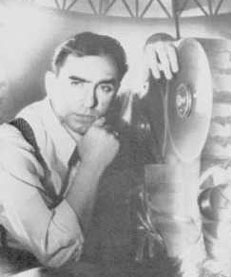 After leaving Warners he directed dance sequences at MGM, including three movies starring the young Judy Garland and Mickey Rooney, and two featuring the water-ski and swimming dances of Esther Williams. His style faded from popularity in the late 1940s and '50s, and his latter work was less spectacular and less well-received. His last film was the 1962 Doris Day elephant comedy Jumbo. Berkeley's personal life was troubled and tragic. He was a very heavy drinker, and according to legend he spent much of his time between films drinking martinis in his bathtub. He was charged with second-degree murder (but acquitted) after an 8 September 1935 three-car collision on California's Pacific Coast Highway that left three people dead, amid claims that Berkeley was drunk at the scene. He was married and divorced at least six times, always to actresses, but he maintained an unusually close relationship with his mother. Her took her last name as his stage name, she lived with him until her death in 1946, and a month after her passing he attempted suicide by taking an overdose of sleeping pills and then slashing his wrists. In his own personal favorite film work, the staging of "Lullaby of Broadway" from Gold Diggers of 1935, the song ends with a woman leaping to her death from a skyscraper. He never took or taught dance lessons, and never danced professionally. For his film work he was Oscar-nominated three times, but never won.